Three species of whale, four of dolphins, African penguins in their natural habitat, Cape fur seals and elusive mola mola (sunfish). Did you know you can spot them all on a fun Ocean Safari boat trip right from the V&A? And they can do it because the guys at Ocean Experiences know our waters and marine life so intimately. 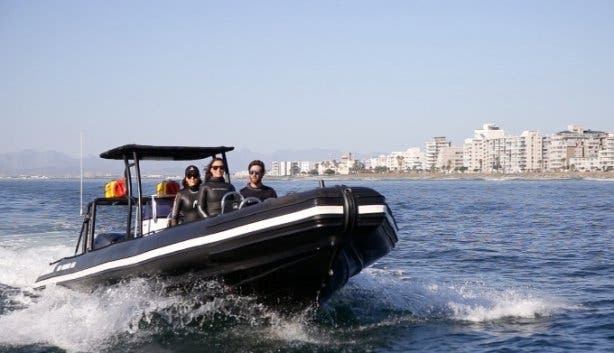 They drive daily ocean adventures, from boat trips and scuba diving trips and courses to shore and boat free diving to incredible seal snorkelling and diving adventures. Ocean Experiences offers a whole range of cool experiences to tick off your bucket list. Each trip lasts 1.5 hours. You meet at Quay 5 at the V&A for an exciting briefing, put on life vests and board the rib boat. 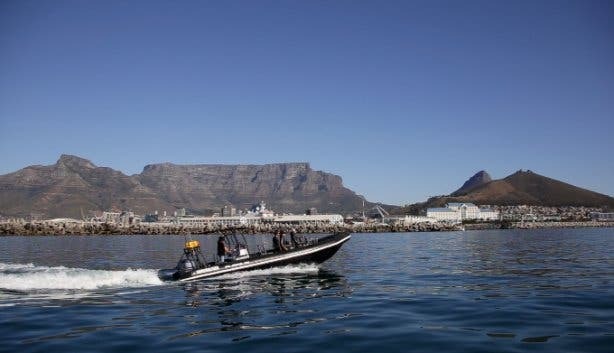 There are some incredible Table Mountain and harbour photo ops to be had as you exit Cape Town harbour by water, and then the hunt to spot as many of the Marine Big 5 as possible begins. CapeTownMagazine.com was lucky enough to experience this boat trip recently. And the Ocean Safari is a definite must for both locals and tourists. We spotted numerous whales, two species of dolphin, extremely amicable seals and African penguins in their natural habitat out on open water. All just a few minutes outside of Cape Town harbour. The big surprise was the hot chocolates and cookies we shared while parked at Strawberry Rocks. Just made a bucket list experience so much more special. Tip: Ask them about the mola mola dance to attract sunfish. 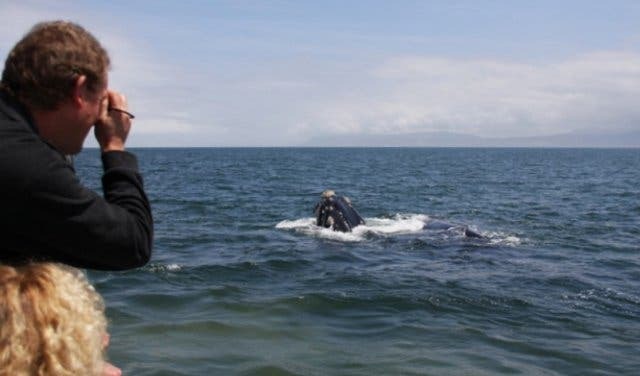 What’s cool about the Ocean Safari is that it gives anyone and everyone the chance to get close to and learn about our marine life in their natural habitat. You don’t have to be fit, qualified or skilled in anything, just board the boat and help spot marine life. It’s something everyone, from grandma to the teens, can enjoy. Just note: As a general rule, your feet need to be able to touch the ground when on the straddle-style seats of the rib boat, so generally kids need to be around 10 or older to enjoy this activity safely. 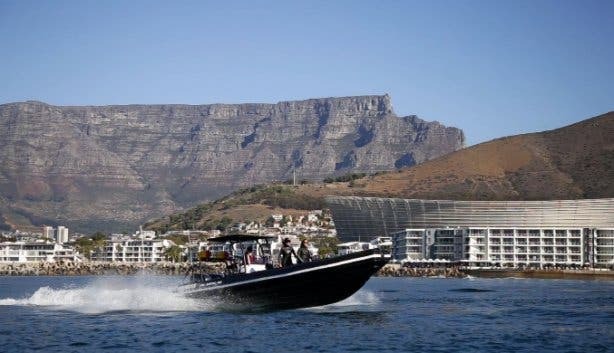 This awesome Cape Town bucket list boat trip normally costs R700pp. But all CapeTownMagazine.com readers get it for 10% off. 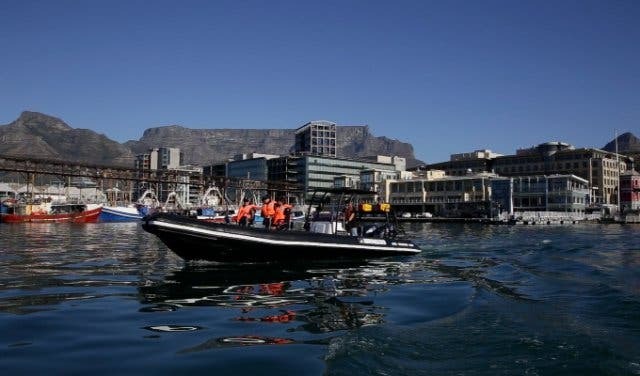 To book, phone +27 21 418 2870 and mention CapeTownMagazine.com or book online via our exclusive Ocean Experiences deals page here. Don’t forget to tag your pics #CapeTownMag when sharing on social media. Enjoy! 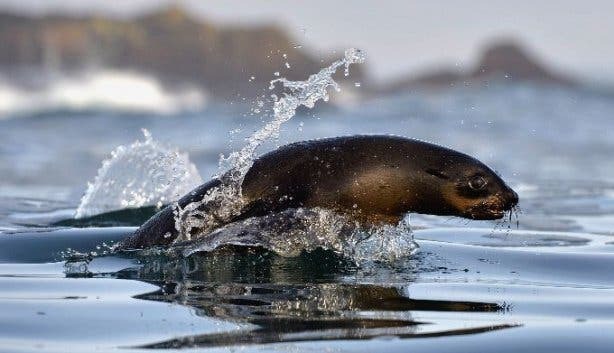 Also, check out Ocean Experiences’ snorkel with seals for 15% less deal. See all the incredible Ocean Experiences available to tick off your bucket list, exclusive specials on Ocean Safari and adventure boat rides. See our selection of offbeat-but-cool alternative bucket list experiences to do in Cape Town and exciting day tours you can do as well as some cool adventures to tackle with your teenagers. Plus: We’ve helped you already work out the pitch to your boss for these awesome places to have end of year and office party. For a once-in-lifetime experience, visiting Fish Hoek beach to witness the moulting of the giant elephant seal, Buffel.